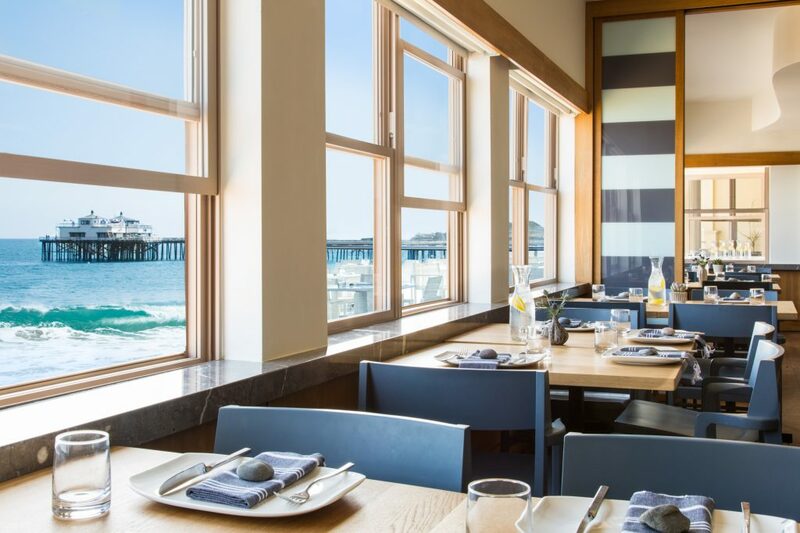 As stunning as Malibu’s 21 miles of celebrity-frequented coast is, it is chronically underserved with great beachfront dining options, compared to similar stretches of idyllic oceanside around the world. 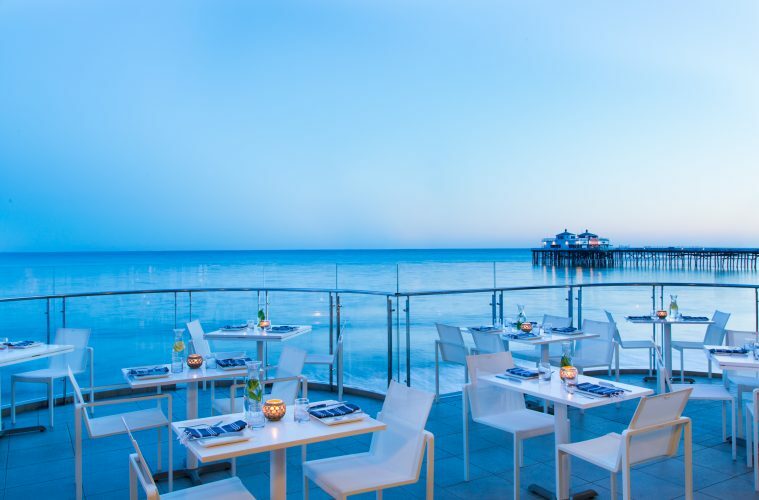 You have the obvious choices – the overbooked Nobu Malibu, the members-only Soho Beach House, and the classics Dukes, Moonshadows & Geoffreys, which have their own unique personalities but somewhat obscured views of the celebrated coastline that we all know and love from screen. Yet, nestled in perfect position just east of Malibu pier sits the Malibu Beach Inn, a casually classy luxury property, renovated in recent years, decorated freshly in muted summer tones, and home to the Carbon Beach Club restaurant, aptly named after the stretch of sand that welcomes the licks of Pacific waves under the outdoor deck, boasting unobstructed views of Catalina Island and the horizon. 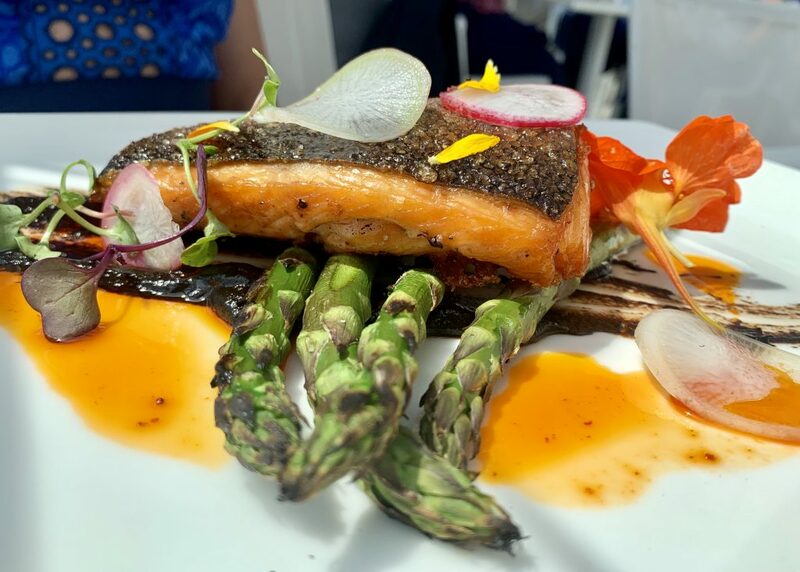 Lunch or a sunset dinner at the restaurant is a treat fromChef de Cuisine Ryan Caldwell, who draws inspiration from the Pacific and Mediterranean coasts, utilizing only fresh ingredients, locally-sourced from One Gun Ranch and resident farmers’ markets. 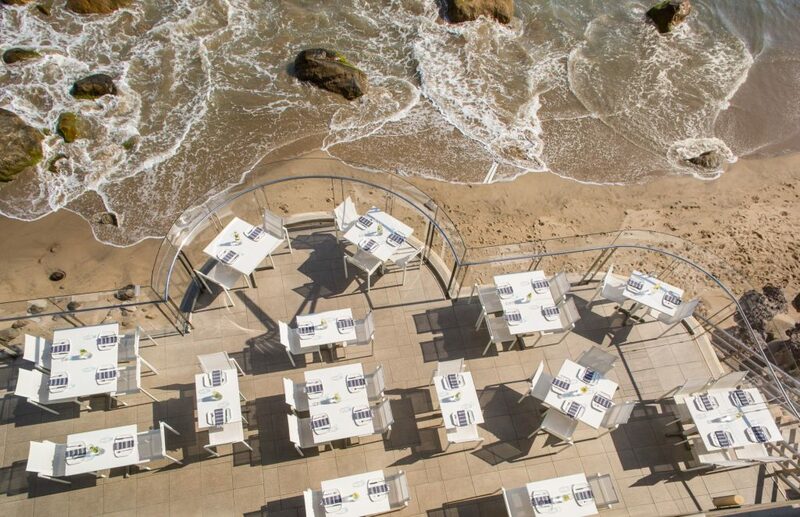 Carbon Beach Club’s award-winning barman mixes his renowned spirits with small batch provisions, and the onsite sommelier hand selects an exceptional list from around the world. 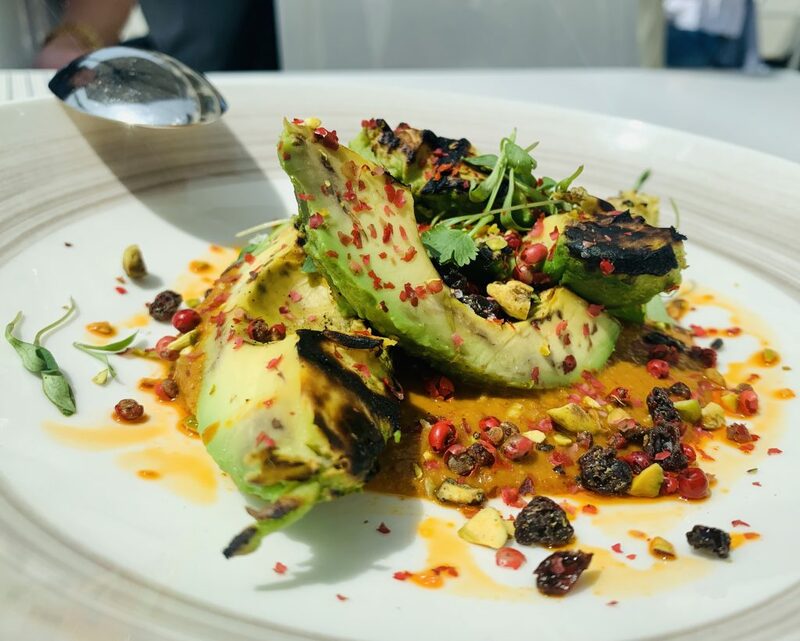 The menu is varied, and an intriguing mix of classics and inventive dishes, yet all seem to come with a color palette and presentation that deserves a photo moment. 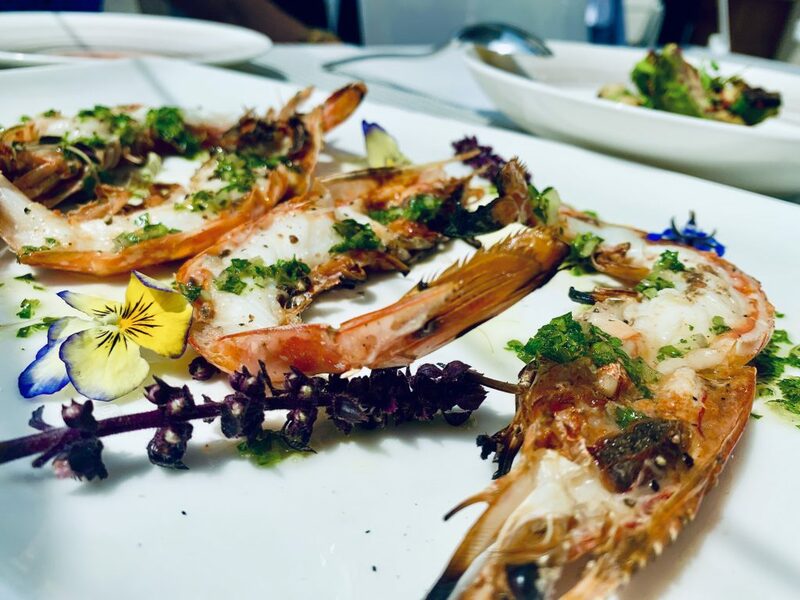 We started with the Grilled Avocado, decorated with Tunisian relish, toasted pistachios and currants, and the Grilled King Pacific Prawns on the shell, stunningly presented with local fresh herbs and vibrant edible flowers. 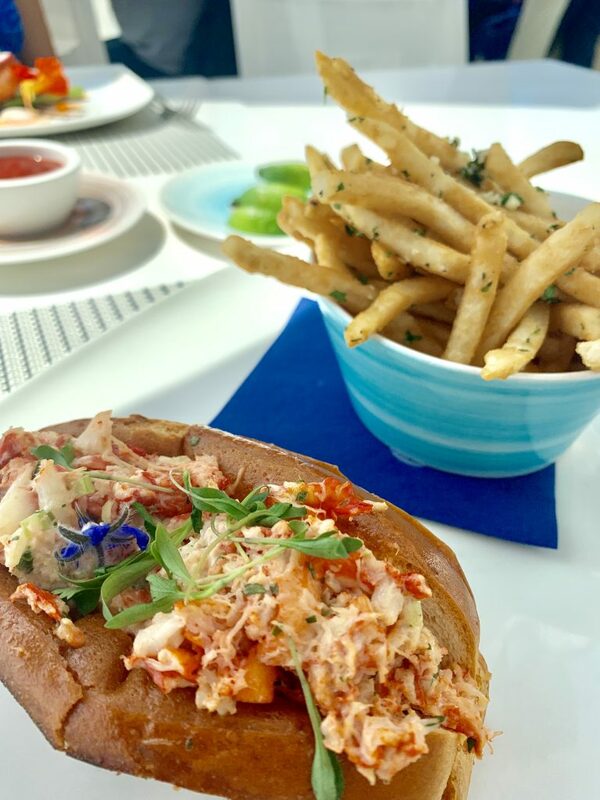 Entrees included their popular Lobster Roll on Brioche, with perfectly crisped Truffle Fries and an Ora King Salmon, grilled and garnished with lemon & radish, atop a smear of black garlic ‘nduja, providing a richness and umami kick, with charred asparagus. A Chocolate Caramel Tart with peanut butter, sea salt and almond was a perfectly dense and slightly sticky ending, at a great size to share. A rosé popsicle provided a fun after-dinner drink to appreciate with the view. This boutique gem is minutes away from local activities including horseback riding, hiking, water sports, and high-end shopping at Malibu Country Mart, and only ten miles from Santa Monica, and twenty-five from Beverly Hills and Downtown Los Angeles, making it a wonderful choice for a staycation, vacation or maybe just a random Wednesday lunch, to create your own Malibu moment. 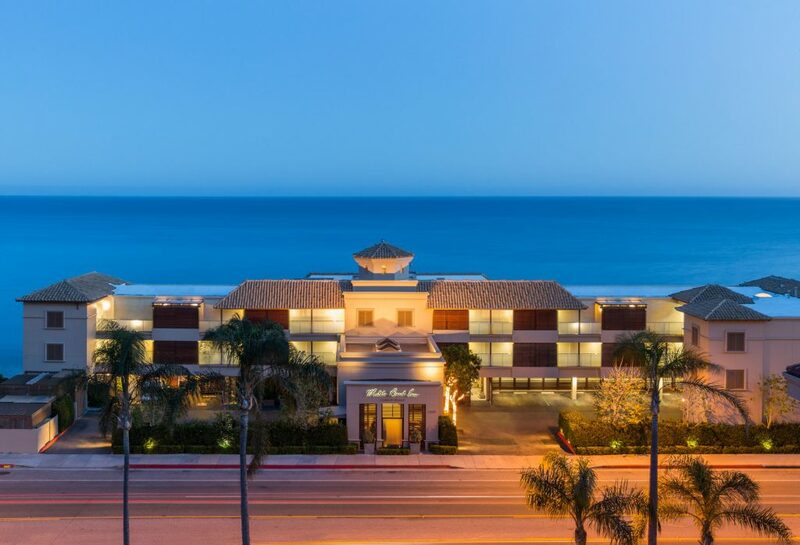 All photos courtesy of Malibu Beach Inn, and by Darren Darnborough. Full disclosure: The hotel hosted the writer for lunch and tour.